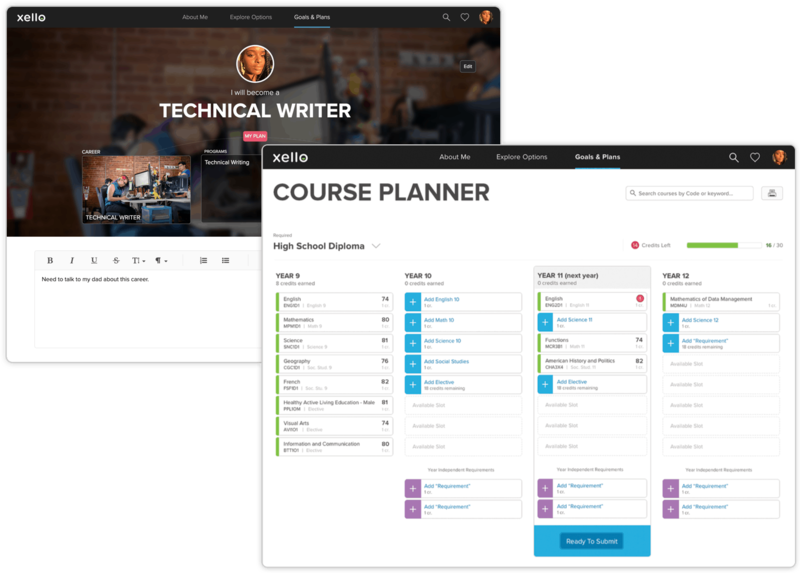 Xello gives you everything you need to help your students build the skills and knowledge to create actionable plans for college and career success. 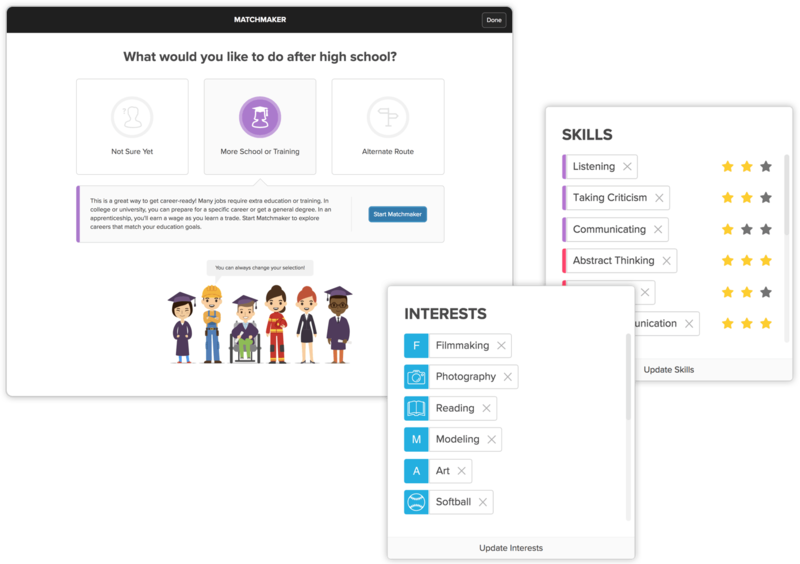 Students complete interactive career, personality, and learning style assessments to help them better understand their unique interests, skills, and strengths. Each engaging assessment encourages reflection, helping students connect who they are with relevant career options. 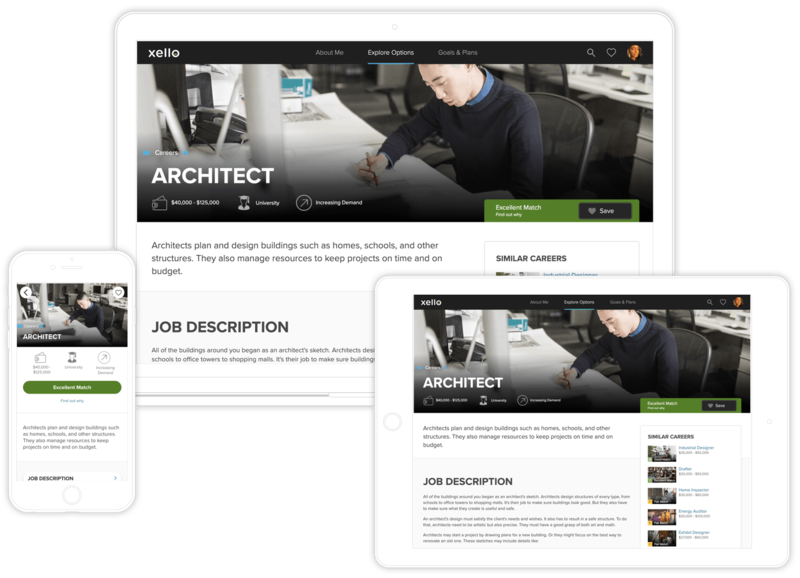 Students personalize their Xello experience by creating a shareable, online portfolio that showcases their interests, skills, and abilities. 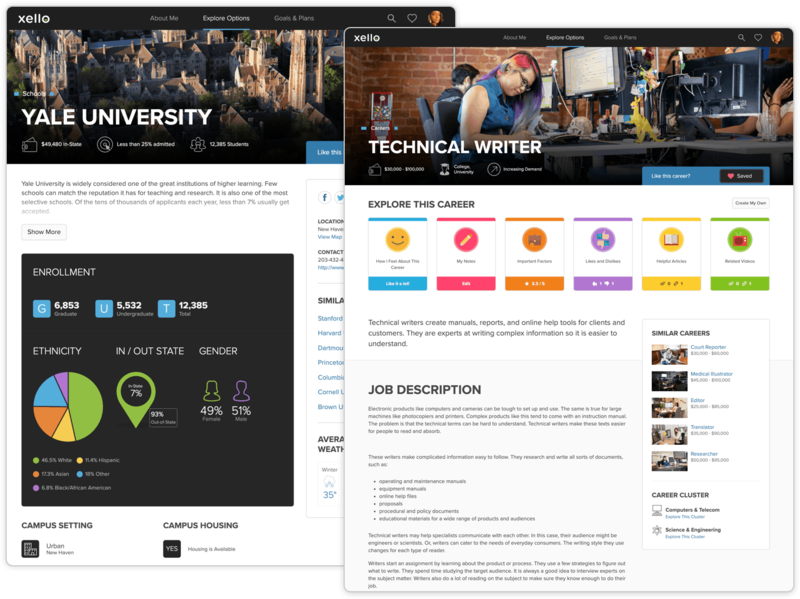 Profiles are easily updated as students gain new experiences, reflecting who they are every step of the way. Students explore hundreds of career and college options that align with their assessment results. Engaging content written at a grade 6 level, rich photography, and real-world interviews provide an authentic glimpse into their future and the critical knowledge to make informed decisions and plans. Students translate their newfound knowledge into an actionable roadmap by piecing together their saved career and academic options to create a personalized plan. Plus, with integrated course planning, they’ll have a clear path to their future goals. With integrated lessons, students build essential skills and knowledge that can help them succeed in the real world. 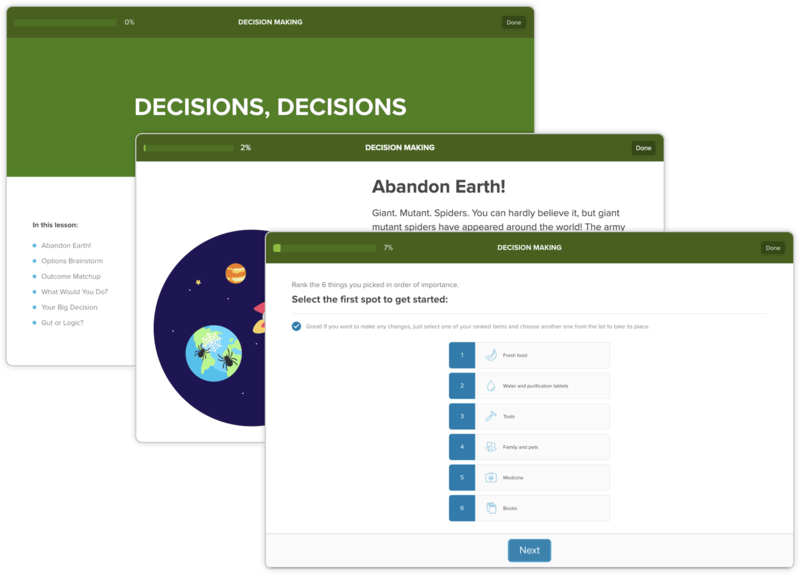 Personalized based on their work in Xello, lessons give students the chance to reflect, reassess, and build communication, problem solving, and teamwork skills to ensure smooth transitions between critical life stages. 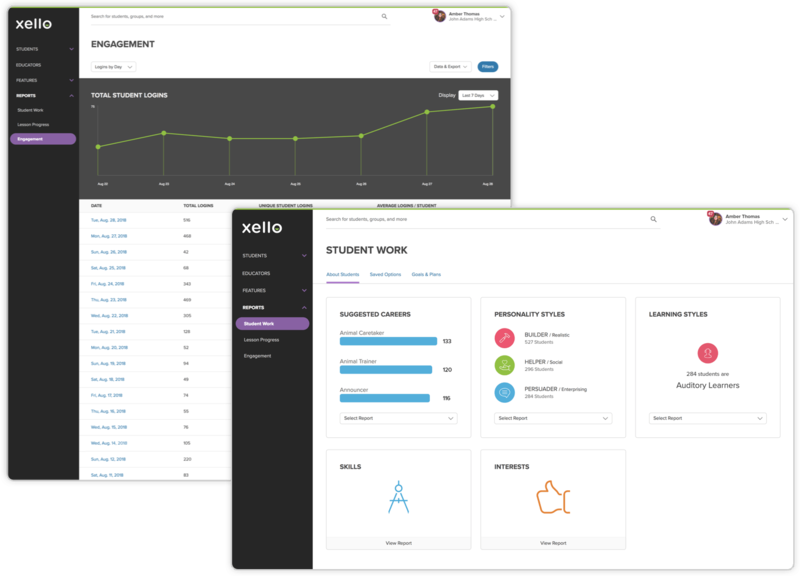 Request a personalized demo to see how Xello gets every student future ready. Educators gain valuable insights with ready-made engagement and profile reports at the student, school, and district level. 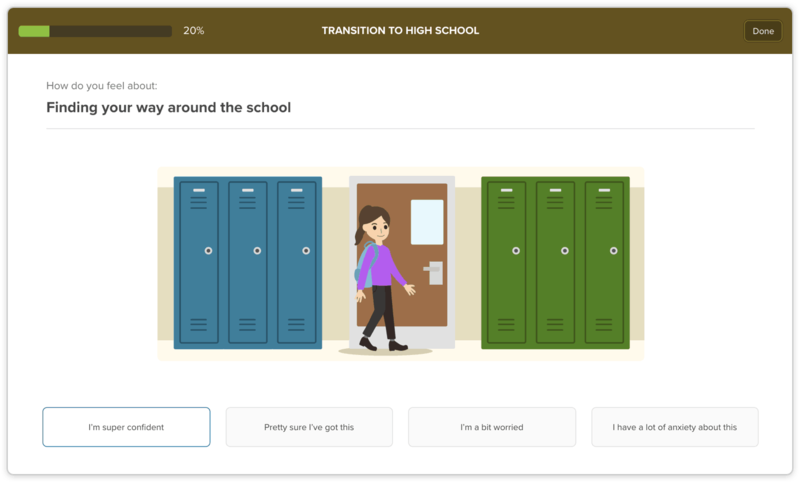 Instantly see whether your students are on track to graduate or need additional support to ensure you meet your career and college readiness requirements. 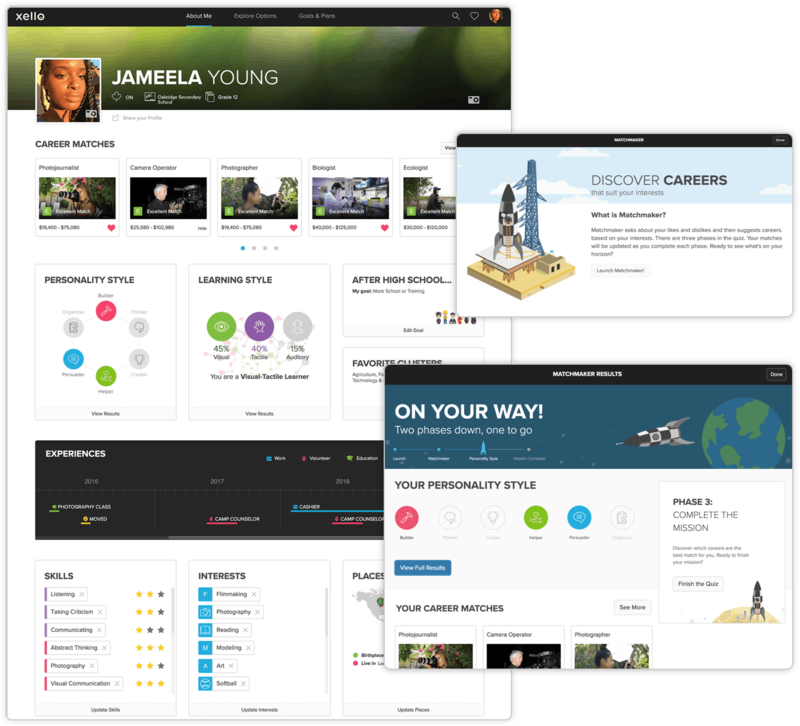 With access to student profiles, educators get a snapshot of each student’s skills, interests, and activities in Xello. At a glance, you’ll better understand who your students are and their goals, making conversations more meaningful. Plus, profiles are shareable with parents for easier alignment on student support. 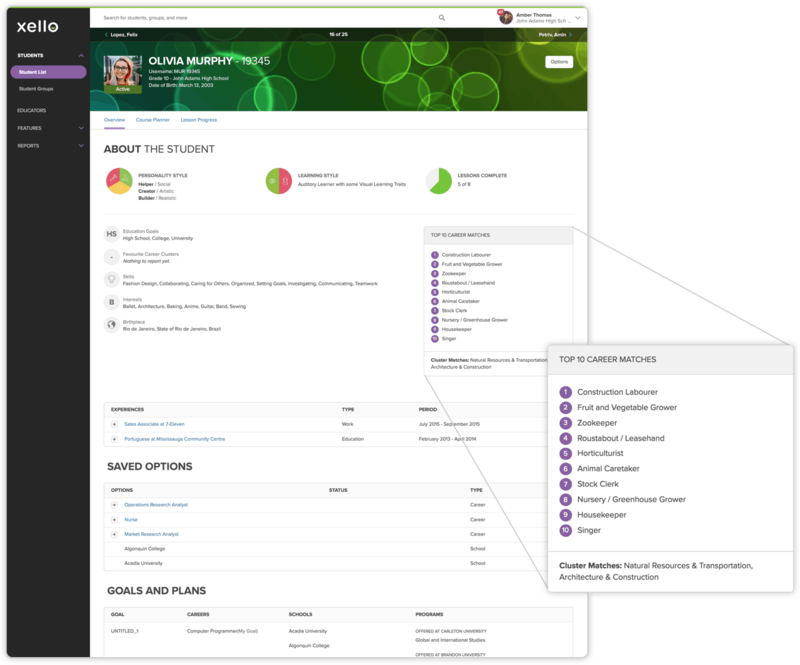 Easily manage students’ plans with Xello’s fully integrated course planner. 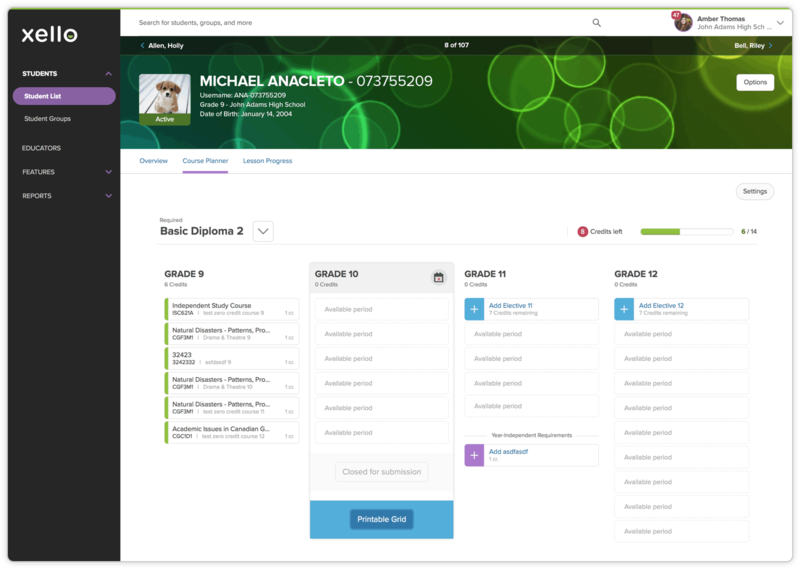 Customized to seamlessly integrate with your Student Information System (SIS) and course guide, Xello helps you ensure your students are on track with the right courses to meet graduation requirements and their personal goals. Engage students in a way that works best for them with access to Xello across multiple devices and languages. Available in Spanish, French, and English, Xello gives students the option to work on desktop, tablet, or mobile. It’s flexibility to learn anywhere, anytime! Equip your students with essential skills and knowledge for post-secondary success with fully integrated lessons. Easily woven into existing curriculum or assigned as independent activities, Xello’s lessons help you to ensure every student is completely confident and prepared for their future.